When Michael Spilger first heard the news that the Clippers were holding a free-throw competition, he figured he had a pretty reasonable chance of winning the $1,000 first prize. After all, Spilger had played Division One college ball at San Diego State, while the remaining competitors were a random assortment of real estate agents and lawyers. The contest was part of a function hosted by Donald Sterling, a wealthy 47 year old who had recently purchased the Clippers. The event, held at the San Diego Sports Arena, was designed to build goodwill between the local business community and the franchise’s new owner. Spilger, who had long since hung up his sneakers for a career as an attorney, spent the first part of the afternoon taking advantage of the free sandwiches and hors d’oeuvres on offer. When the time finally came for the shooting competition, he calmly strode to the line and iced nine out of ten attempts, which was good enough to claim the $1,000. Or at least that’s what Spilger thought, until later in the day, when he had a conversation with Sterling. The Clippers new owner informed Spilger that the reward for winning the shoot-out was no longer a cash prize, it was now a four night vacation in Puerto Rico. The only problem was airfares were not included, meaning Spilger had to pay for flights if he wanted to collect his new reward. An unimpressed Spilger informed Sterling that he had no interest in forking out for an airfare to Puerto Rico and asked for the money that he was owed. Sterling, who at the time had a net worth that was estimated to be somewhere between $300 million and $700 million, asked Spilger if he wanted to go double or nothing for the $1,000 prize. Spilger declined. Sterling then offered a couple of season tickets as a new alternative. Spilger was already a season ticket holder so he said no, before again asking for the money that he had won. Sterling said that the Clippers promotional department would be in touch within the next few weeks to sort everything out. Spilger left the Sports Arena feeling like a tourist who had just gone head-to-head with a three card monte hustler, rather than a winner of a promotional event put on by an NBA team. Two weeks later, Spilger received a chirpy letter from the Clippers congratulating him on winning two nights in Las Vegas. As far as Spilger could see, his prize was shrinking by the minute. He started with a $1,000, was then offered four nights in Puerto Rico and was now down to just two nights in Vegas. Over the next few months, Spilger tried to bring the situation to an amicable resolution by writing letters and calling the Clippers to try and ascertain when he would be able to collect his prize money. After a year of failed attempts, a fed up Spilger decided that his only alternative was to file a lawsuit. At this point, a Clippers team official offered him a $1,000 payment to his favorite charity, to which Spilger replied, “I’ll see you in court.” Two days later, Spilger finally received a check for $1,000, over a year after hitting the nine free throws. The final chapter in this drawn out saga took place a couple of years later, when Spilger ran into Sterling at a party. Sterling instantly recognized the sharp shooting lawyer who was so brazen as to expect the Clippers would hand over the actual prize that they had advertised. He approached Spilger and, instead of offering an apology, told him that his actions were reprehensible. 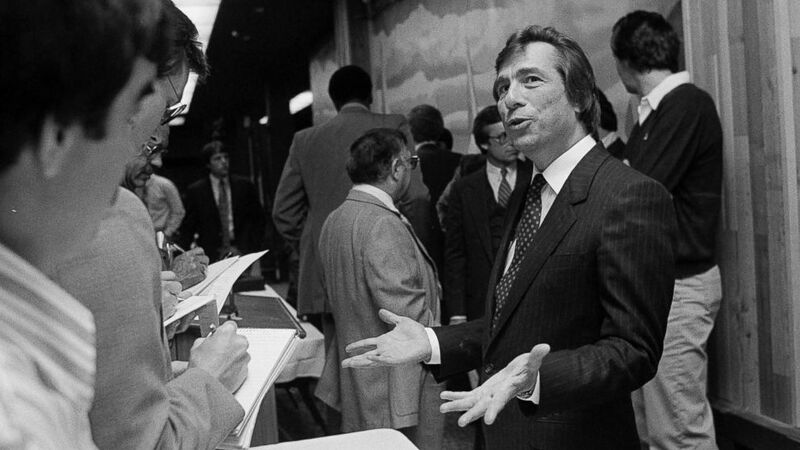 And so begins Donald Sterling’s 33 year reign as owner of the Clippers. 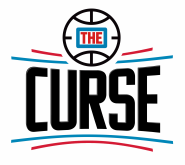 To purchase a copy of The Curse: The Colorful & Chaotic History of the LA Clippers, click here or visit Amazon.